For use with Scott Foresman Reading Street . 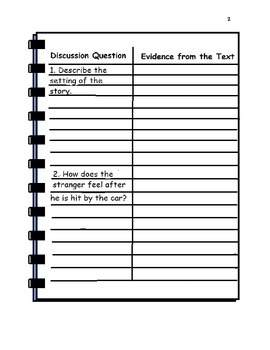 This set of 6 common core aligned discussion questions are for The Stranger in Unit 3. 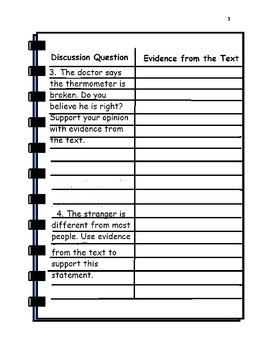 All questions are text-based and ask the student to provide evidence from the text to support his/her answer. Students may work independently, with a partner, in a group or as part of whole class discussion to answer the questions.